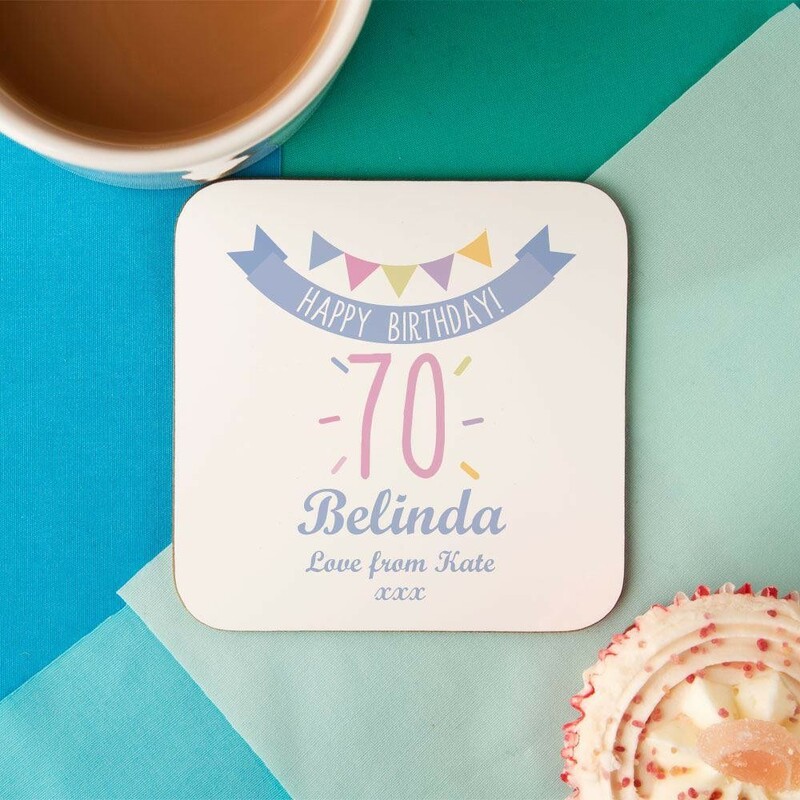 This personalised “Happy Birthday” coaster is the perfect gift for a woman's 70th birthday. 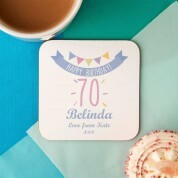 The colourful and fun design will bring a smile to her face and brighten up the table. It is personalised with the recipient's first name, and a short “love from” message at the bottom. 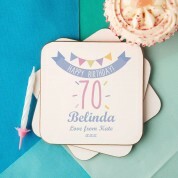 It features a Happy Birthday banner with colourful bunting and a 70 in the middle of the coaster, above her name and personal message. 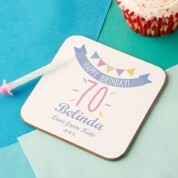 It will make a fantastic memento of her special day, and will remind her of you every time she takes a drink. Coaster dimensions are approx. 9cm x 9cm. Very pleased with product & serice.